We believe, you really haven’t enjoyed life to the T if you haven’t visited a water park yet. Full of crazy activities, there’s a lot that one can benefit from, apart from all the happy memories, that is. We’ve been on the lookout for fun things to do and we stumbled upon this – Suraj Water Park in Thane may not be the biggest there is but offers some lovely ride that makes for the perfect weekend outing with family or your favourite gang. Spread over 11 acres, you’ll see 24 feet high mermaids at the entrance, just as soon as you step in. You’ll then pass a row of fountains that spurt jets of cool water into the air, till you reach fibre cave. This park apparently has one of the largest man-made fibre caves in the country, measuring 103 feet in length. There’s a wave pool that simulates the waves of the sea, and just across it, you’ll find the Crazy River, that actually simulates a wild river flow. There’s also a Lazy River, that’s laidback and lets you relax and float in it. There are water slides, with some of them giving you a 100-foot dive that stretches on for a length of 350 feet. There’s also a baarish hall, where it’s perennially raining, giving you the chance to jive to some music doing the rain dance. 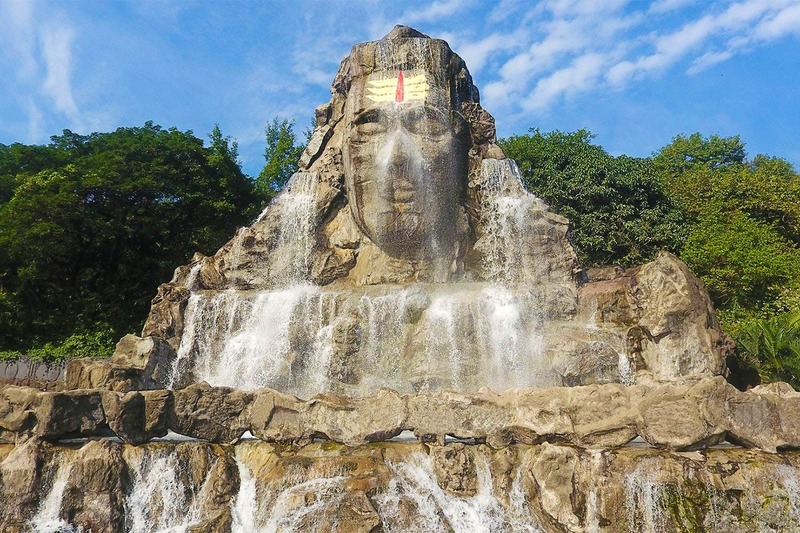 One of the biggest attractions though, is the Shiva Ganga water slide, that is sure to get your adrenaline pumping! You don’t really need to do this only over a weekend, since it’s so close to the city. But, it’s something that can get your mind far away from work and all this Mumbai, so head out there and have a ball of a time. It’s always better to carry your own costumes, and in case you have a lot of stuff, there are locker facilities available!